so I just added 1oz of Willamette whole hops to the brew I made on Thursday. Its a super hoppy American IPA. I am calling it my Monster IPA #1.
so will the hops drop down in the beer at some point? Do you like dry hopping? I've only dry hopped once. I used pellets and since I don't secondary, I put them right in to the fermenter after most of the fermentation had stopped. The pellets broke up and fell out after about a week. If you use leaf hops, I think they float. I've also heard of some folks using a mesh bag to dry hop in. This is supposed to make it easier to remove them when racking. I haven't done it enough to say that I dislike it or not. I'm not a huge hop head, so tend to not use a lot of hops in my brews. Dry hopping does give it a little different hop flavor as opposed to adding flavor hops to the boil. I have used pellet hops in the secondary and they do slowly drop. If you use whole leaves you should use a muslin bags because they do float. What ever you do use give it time. well they are starting to float lower in the brew. They are totally saturated and the exhaust is very hoppy. I might post some pics. it will sink those suckers. I dry hop in the secondary. After the first week, I place the fermentor in my lager chest freezer to drop the temperature. The hops fall out of suspension and as a side bonus is cold when it goes into the keg. Just keep the siphon above the hops when transferring. so I used 1oz of Willamette whole leaf hops. just dumped them in a sterile funnel and pushed them in using a sterile chopstick. well after about 24 hours my bubbling came to a crawl . I checked the gravity and its .012. right about where it should be giving me a ABV of 5.6% as it sits right now. the beer really cleared up too. It was cloudy and caramel looking and now it looks pretty clean and nice dark brown/amber color. now the fun part is getting all those hops out after I rack and bottle. will report back on that adventure. I am glad everything is working out for you. The easiest step is next, tasting. Let us know. that step follows 1 of the hardest, waiting. Pellets in mine floated and slowly started dropping. The time I used whole hops, they stayed on top in the scondary. I have used hop bags for dry hopping and it is a lot easier to remove that way. yeah I think I am going to give the hop bag a shot next time, will see how bad it is to get them out of there without the bag first. I have never dry hopped before, and am ready to add some to primary (I don't rack to secondary). I have some Cascade pellets I want to add to a Sierra Nevada Pale i'm doing. Should I just chuck them in? Or should I put them in a sterile bag? thanks! Just chuck, then bag your tube! kangarool, I'd just chuck if I were you. I usually dry hop with whole leaf in my secondary, then use a sanitized hop sack tied to the submerged end of my racking tube to filter the hops out...works awesome. I have dry hopped with pellets and whole hops and always just add them straight to secondary without a bag. When I do a long dry hop, i.e. 3 weeks or more the whole flowers will eventually become saturated enough to sink. Pellets always end up sinking about a week after addition. Tomorrow I will be switching my Celebration clone to secondary and dry hopping with 3oz(2 oz pellets 1 oz whole hops). After dry hopping every single one of my first 8 brews I prefer to use pellets now, they sink better and allow the glands to be more directly exposed to the beer resulting in a more pronounced hop aroma and flavor. 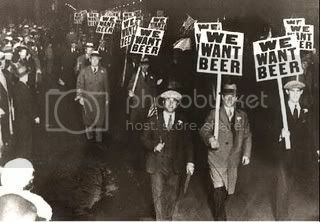 Which is what I desire with every brew being a big hop head. Only time I use whole hops now is when the strain I want isnt available in pellets. 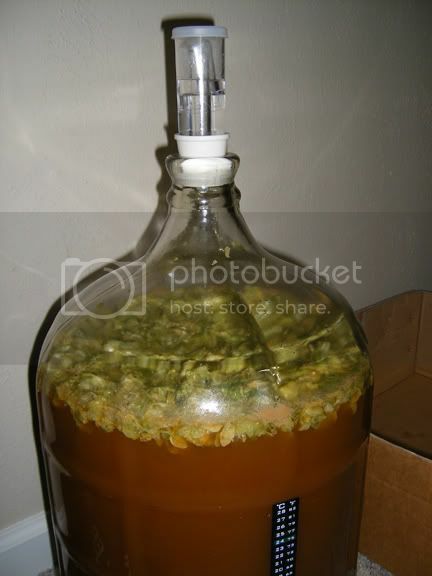 just added 2oz Amarillo Whole Hops to a IPA I have fermenting. the 1st go around went smoothly for me, whole hops directly into the beer. I lost a little beer that was trapped in the hops but all in all it went well and they came out easy. I am hesitant to use pellets, do they breatk up? If so then you have to have some hops "grains" that transfer out in the beer when you rack to bottle? I dont filter my beer but work pretty hard to get it clear. I dont have much trub in the bottle of my bottles, when I did I keg now. But I would think pellets would add to the cloudiness and trub in the finished product?